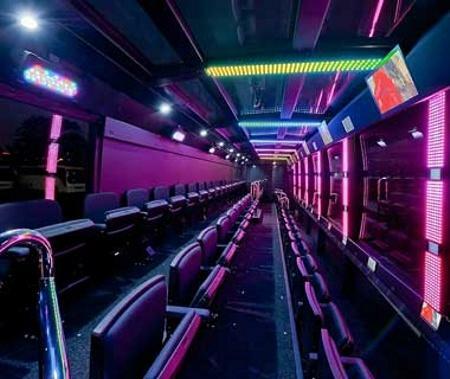 THE RIDE is an exhilarating twist on the classic city tour turning the streets of New York into a stage. And you've got front row seats. THE RIDE will move you through the city, turning famous NYC landmarks into backdrops as a live show plays out right in front of you. 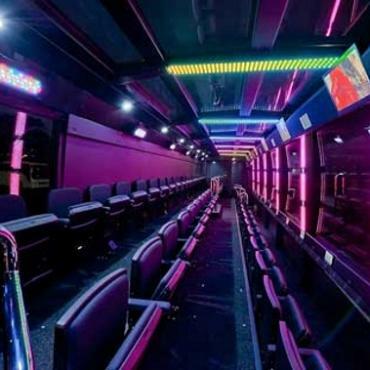 The custom-made vehicles feature stadium-style seating that turns Riders sideways with massive windows to view all the action. THE RIDE audiences see Times Square, the Chrysler Building, Grand Central Station, Bryant Park, NYC Main Branch of the Public Library, Empire State Building, 42nd street, Shubert Alley/Broadway theatres, 6th Avenue Skyscrapers, Carnegie Hall, Columbus Circle and Central Park. All in about 75 minutes. As the tallest mode of transportation allowed on the streets of New York by federal law, THE RIDE will make you look twice. It isn’t only about the vehicle or the landmarks though, each RIDE is scripted and performed by writers and comedians from Saturday Night Live, the Daily Show and New York's vibrant comedy circuit, so you’ll never have the same experience twice.